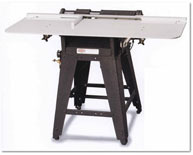 Our Scott Heavy-Duty Tabcutters are capable of cutting 3,000 to 5,000 tabs per hour. Fast and Easy Setups. It takes just seconds to change tab positions. Changing tab sizes takes only two minutes. Handles many sheet sizes. The extra long steel knives quickly and easily cut a 1 inch tab in the first position on a 15 inch long sheet. Adjust tabs to any width from 1/2 inch to 6 inches.